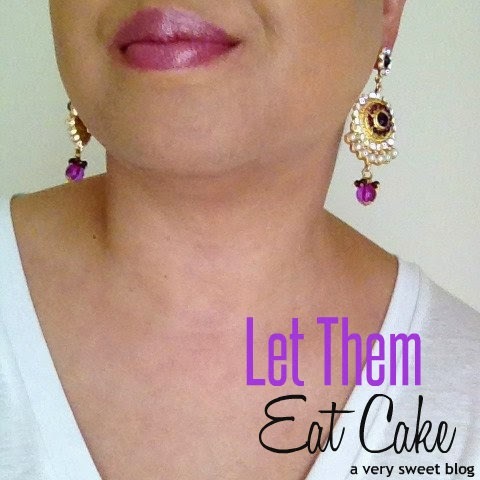 Lipstick Queen's Let Them Eat Cake Lipstick (Barneys, Ulta, Lipstick Queen) was on my Beauty Wish List this Summer. Honestly I loved the name, but was unsure of the color. Add to that, it was only available at Barney's at the time (NYC) and $45! Well, that was a lot to chew! HaHaHa I was already disappointed with Christian Louboutin and his $50 Rouge Louboutin Nail Lacquer HaHaHa But I was reassured, when one of my readers, Rosemary of NYC Style and a Little Cannoli (who lives in NYC), went to Barney's after seeing my post (she loves sweet things also) and purchased it. She loved it! So that made me feel better, but I still held off. Well, I finally got the nerve and ordered it! 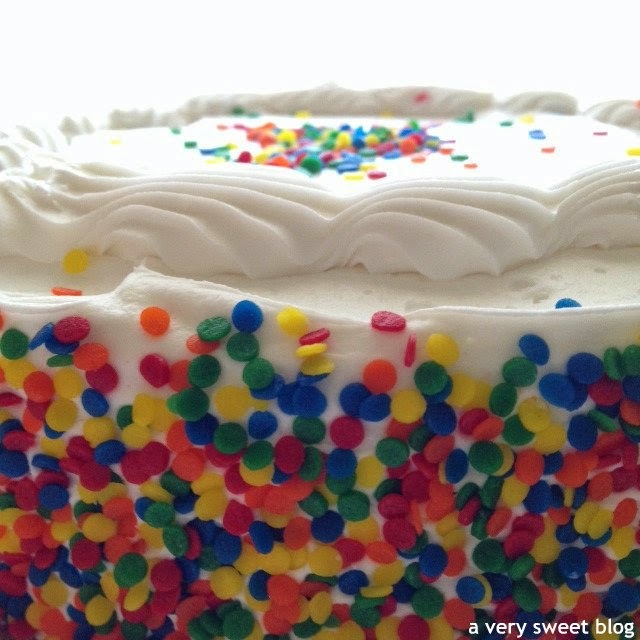 I must say it is frosted fantastic-ness! 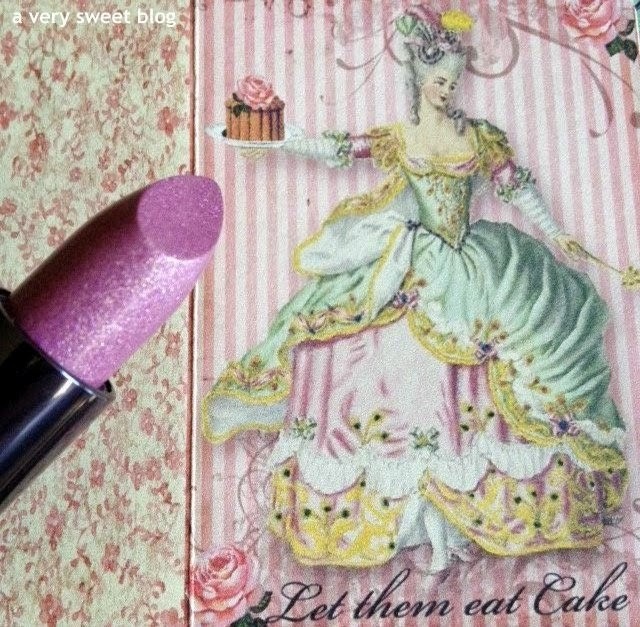 The lipstick has a pinkish, purple-ish velvet and foil outer package. It's encased in a hard metal and magnetic closure lipstick case. 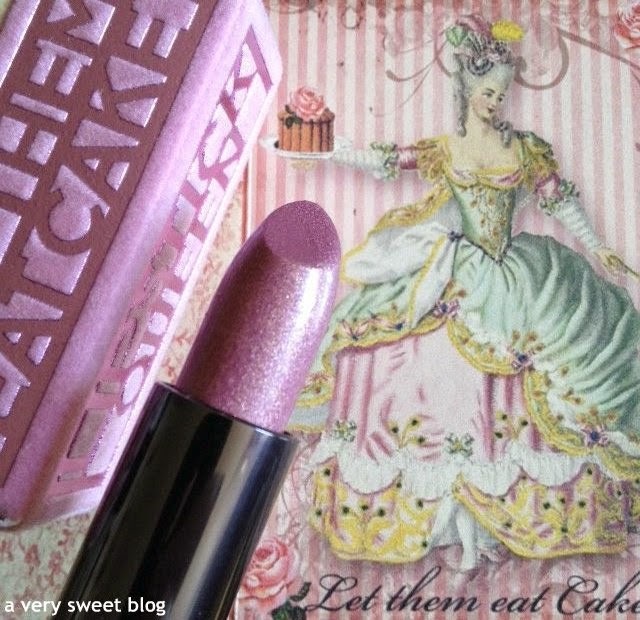 This lipstick pays homage to Marie Antoinette. 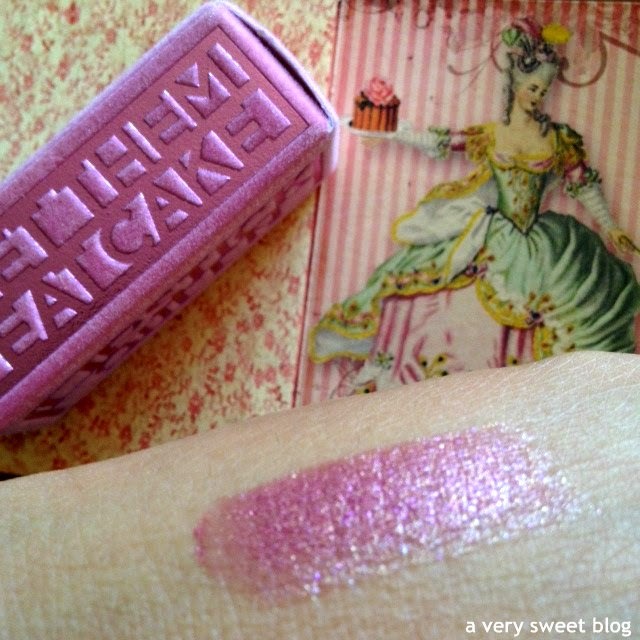 This lipstick is textured (but honestly, you don't feel it after you apply it...ah-mazing! hate grittiness!) and it gives off a sugary-iced frosted look. It's very smooth and decadent. Wear it alone, or atop another lipstick (accent lipstick). Do you know I would purchase another one? I love it that much.and I DON'T buy $45 lipsticks for anything. HaHaHa This one surprised me! It's my first Lipstick Queen lipstick and if their other lipsticks are like this one, then I'm in trouble. HaHaHa I guess I'll have to try Tom Ford's $50 lipstick. HaHaHa Do you like my Marie Antoinette cards? They're about the size of playing cards (but open like a greeting card). I got them on eBAY! I was looking for something else and ran across them (in fact BEFORE I purchased the lipstick...so I took it as a sign to buy the lipstick! HaHaHa). The cake? Oh, I just picked that up for a family gathering and thought it would fit in with this post. LOL Have a Frosted Fun-licious week! 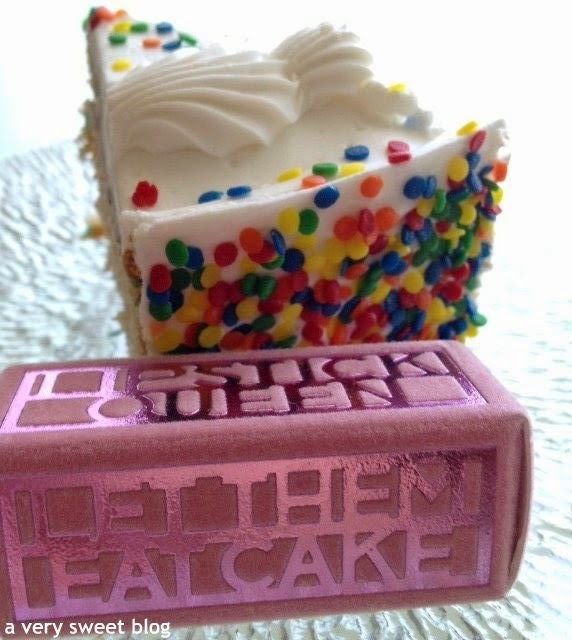 Lipstick Queen's Let Them Eat Cake Lipstick is Supersweet. Also the Cards are wonderful! that is such a pretty sparkly lippie on you Kim! 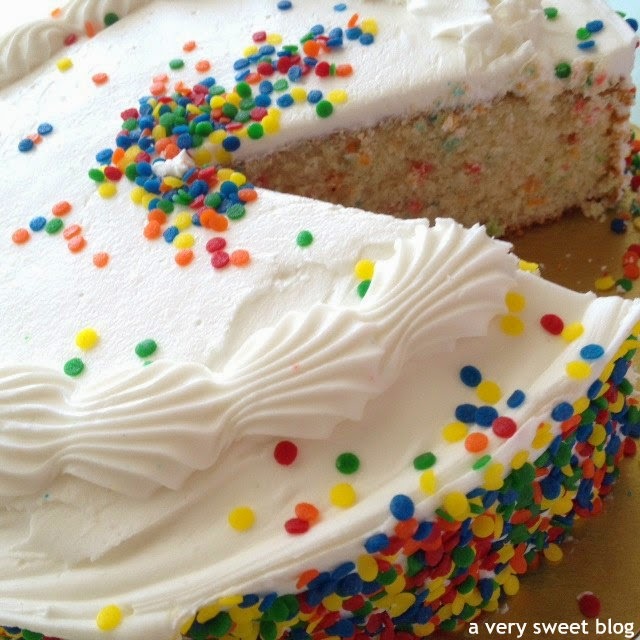 And that cake...yum I want a slice, haha! 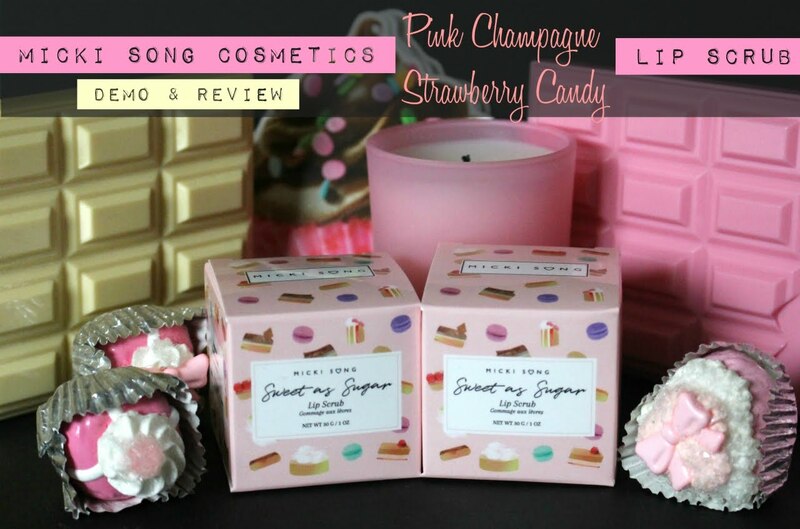 Great review and very pretty photos Kim:) Enjoy your week! Saw this post on IG. I'm craving for sweets! Oooohhh that lipstick looks good on you Kim! I don't think I've seen any lipstick shade like that. 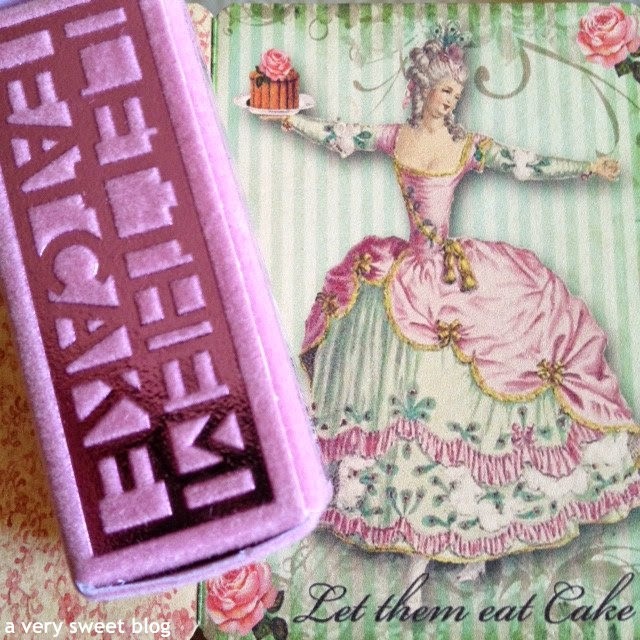 And those Marie Antoinette cards are so cute! I think that color looks gorgeous on you Kim!!! Looks like it was definitely worth the money! The packaging is so cute on this! 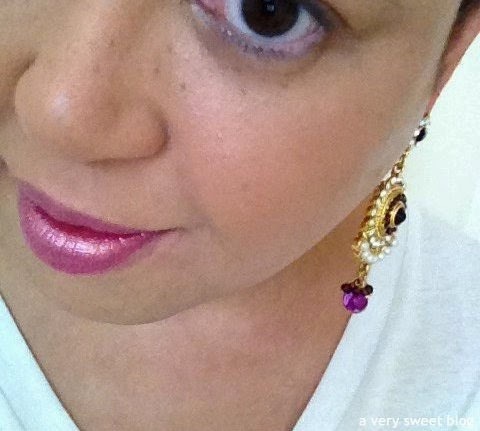 I just picked up a berry lipstick last week, and it had some shimmer to it, so I think I would really like this! So happy this got a Supersweet rating from you. I was pretty in love with the name of it and the color is divine on you, Kim. love the frost look! and you look GREAT! That's a pretty pricey lipstick but the packaging is so cool and the color is gorgeous on you Kim. 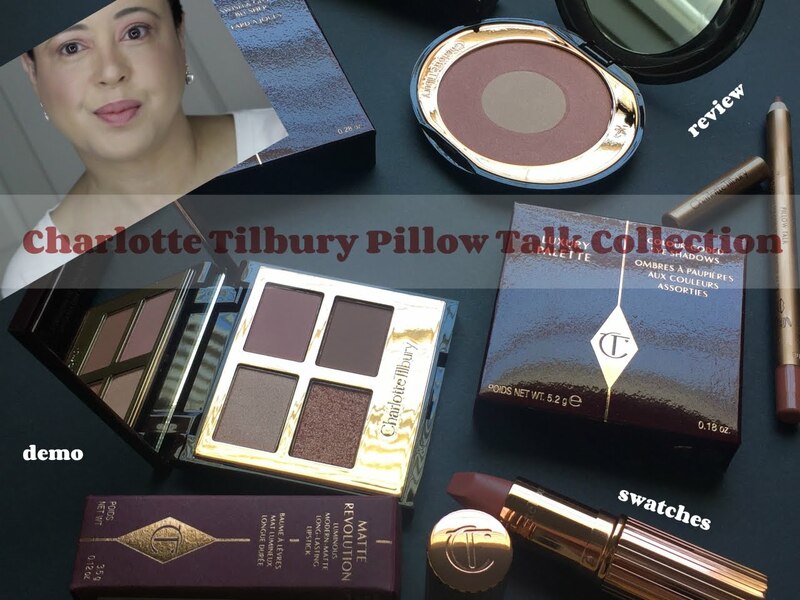 I actually love the entire makeup look you created with it! What a nice frosted color! This lipstick looks gorgeous on you Kim! I love that color! I just love the name! So glad to hear that it turned out well and is worth the price. It looks great on you! Have a lovely week Kim! Hi Kim, this lipstick is fit for a Queen. Very nice colour and packaging. It is more glossy than Matte. For sure Marie Antoinette will enjoy trying this out. This shade of pink looks fantastic on you, though I usually prefer darker colours and reds on you, this makes an exception. 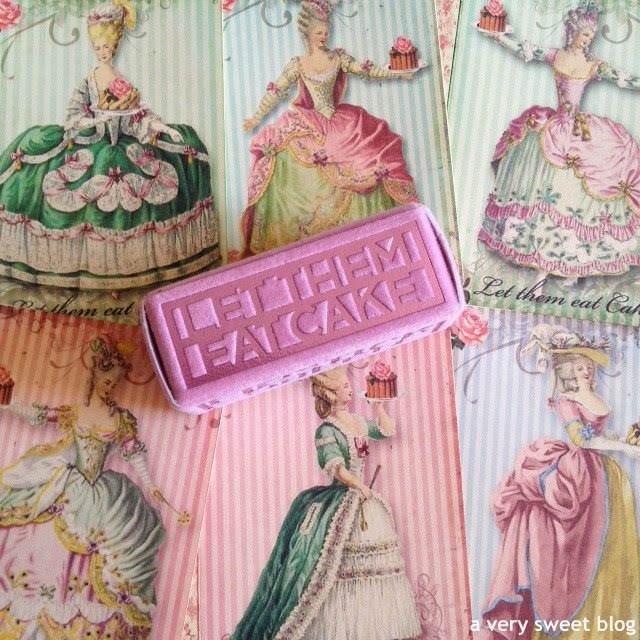 Everything in this post looks so sweet and fabulous!!!! 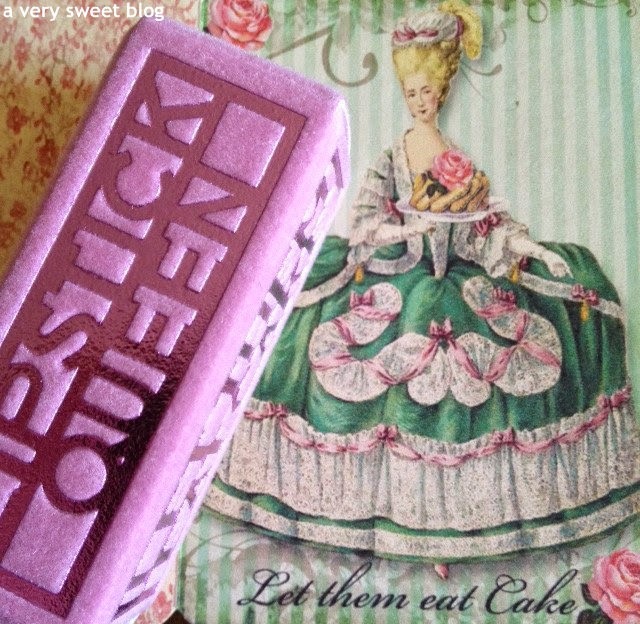 Such cute packaging and such an adorable color! It reminds me of strawberry cake! YUM! Beautifull! That's such a pretty color! You look great in it!!! omg kim...we went to a grand opening this weekend and they sell Lipstick Queen! I love this brand. Wow, now that is a pricy lipstick! But it looks great on you! Glad to hear that you are happy with that purchase! The cake looks so yummy, thank you for making me craving something sweet, haha! Kim, just like you, I have soft spot for cute names and pretty packaging. This lipstick looks gorgeous on you. I have notice that through the years my love for lipstick have grown and I think for beautiful lipstick I could pay as well. 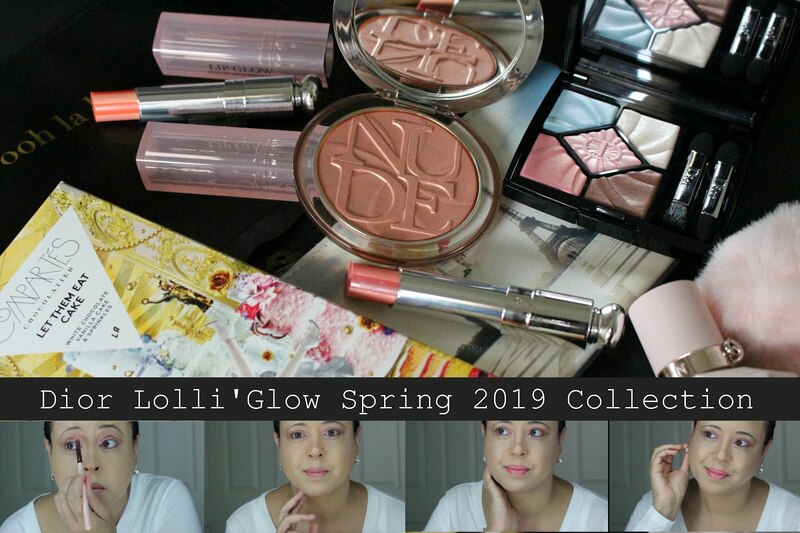 love the color and packaging, it is pricey but could be worth it! The color suit perfect on you Kim, the case is previous too! this lipstick is very frosty (thats the first word that came to mind haha). this is the perfect lipstick for a girly look I think! Wow Kim that is seriously expensive but it looks worth every penny on you! I'm glad you got this in the end, it looks fab on you and I love the packaging! Hi Kim! I LOVE this whole look! (Your makeup, lip colour, and those earrings). It's perfect! I find purple-ish lipsticks hard to pull off so I'm still searching. Might have to check this one out. Thanks for the review! 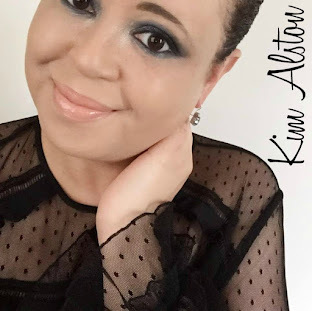 Hi KIm, wow I love the look of this lipstick! The color is gorgeous on you. Out of all the lipsticks you have shown us I like this color the best on you! I wish it wasn't so much money! Maybe I will ask for it for Christmas as this is a splurge! Wishing you a wonderful day and week. Beautiful lipstick! $45 is a lot for lip color. The packaging is really cute. 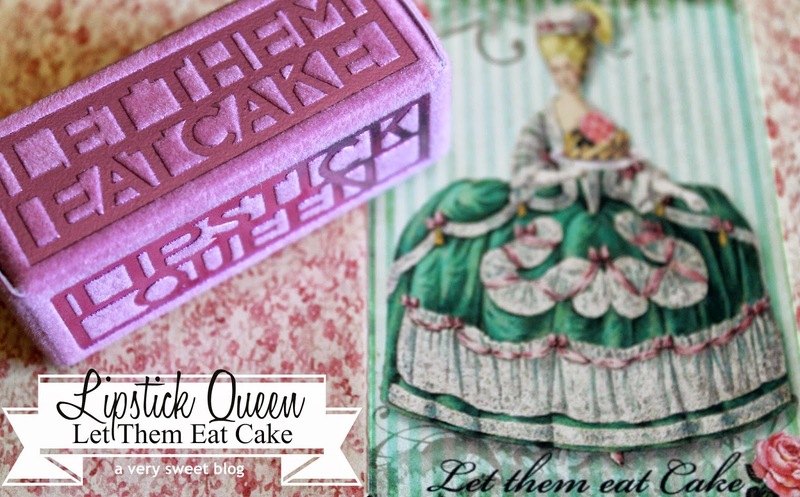 :) The Marie Antoinette cards to so fun! very pretty, kim! i have yet to try Tom Ford, but his lipsticks are def. on my wish list!! 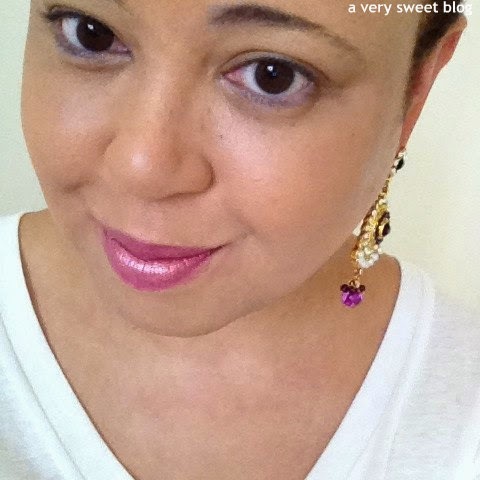 Loving the shade of that lip color! Superset indeed! I love the color on you - it's young, fun, and brings a smile to my face! 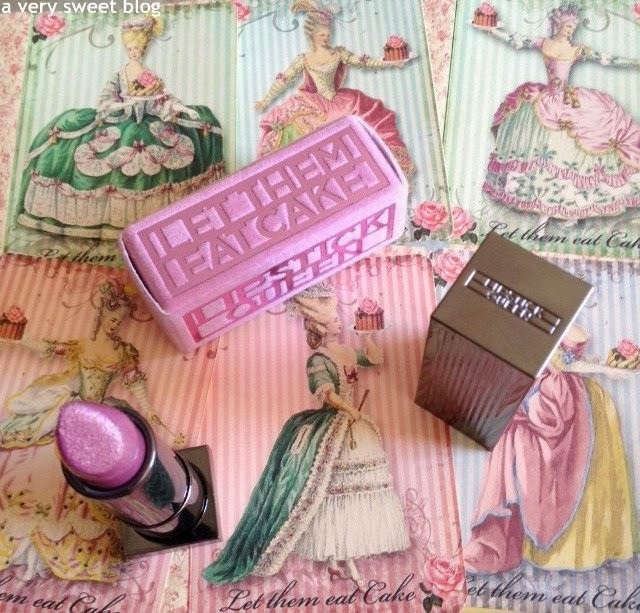 Love this packaging and this shimmery pink. Very feminine and girly but still work appropriate. Love everything about the packaging and color!